Over the years, the early part of The Fall’s wonderful and frightening back-catalogue has been reissued various times. In May 2019, Cherry Red Records will give the first two albums their best reissues to date. 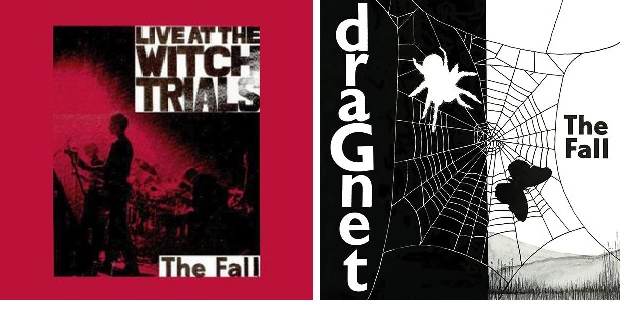 The first two releases in Cherry Red’s “Fall Sound” reissue campaign, ‘Live At The Witch Trials’ and ‘Dragnet’ will be reissued on high quality vinyl. ‘Witch Trials’ will be available as a limited edition red vinyl, while ‘Dragnet’ will appear as a limited “splatter” vinyl and include a bonus replica 7″ single of ‘Rowche Rumble’. Throughout the summer of 2018, Kristin Hersh toured extensively for her critically acclaimed album ‘Possible Dust Clouds’. A lengthy run of dates found Kristin and supporting artist Fred Abong visiting all corners of UK and playing at some very intimate venues. Kristin and Fred are back for another tour beginning on March 8th. For those who missed the previous leg, the new dates involve similarly small venues, so if you’d like to see some great artists up close, the opportunity shouldn’t be missed a second time. 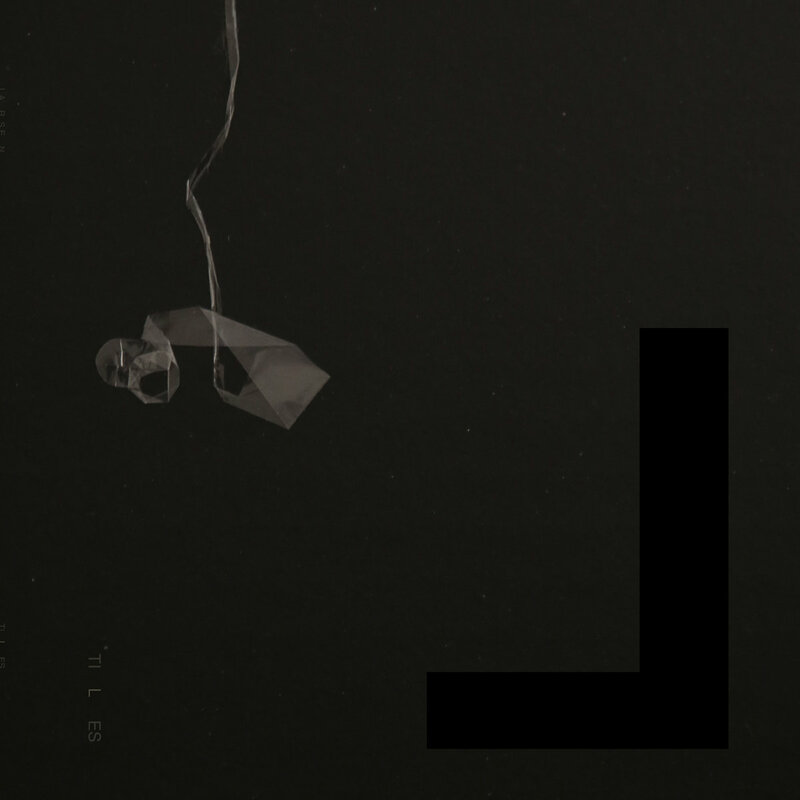 Fred also releases a new EP ‘Pulsing’ on March 8th. 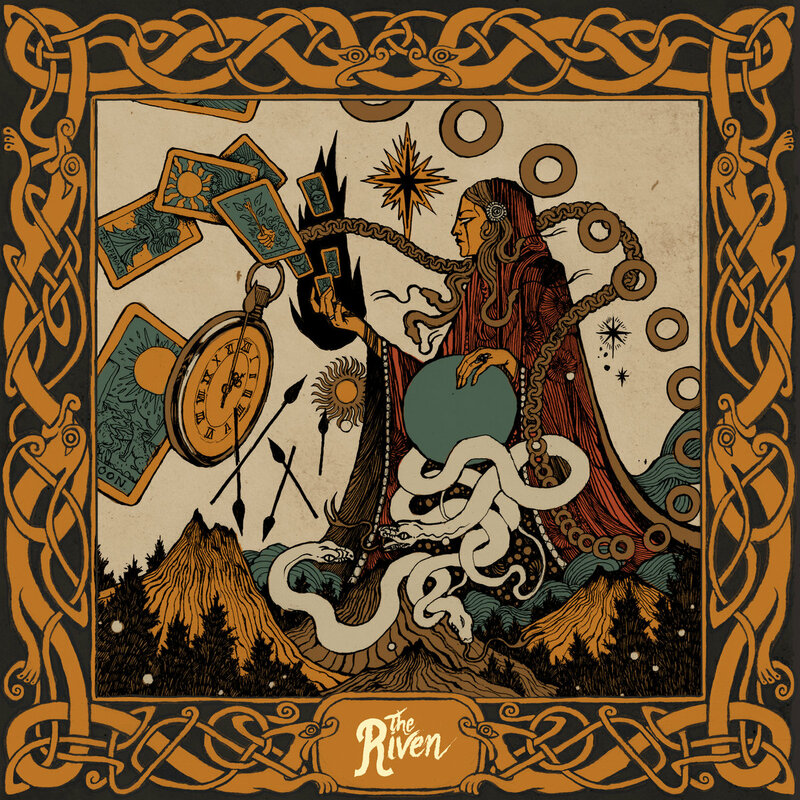 On their debut EP ‘Blackbird’, The Riven showed a lot of promise. With a fusion of hard rock and blues, the EP presented five songs with an old fashioned spirit and some great vocals, but was rather let down by its recording budget. Sadly, tunes that deserved a huge crunch were all too often left feeling a little muddy. A lot happened over the next couple of years. The band relocated from London to Sweden, played live shows, gained a recording deal with The Sign Records [home to Wheel In The Sky, Highrider and Grande Royale] and then decamped to Spain to record a full length album. Formed in 1993, Larsen are an experimental band from Italy. 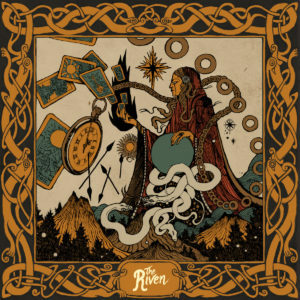 Their members have managed to keep a fairly low profile over the decades, but that didn’t stop their 2002 LP ‘River’ achieving critical acclaim in both Europe and the States. In 2008, the band were joined by Ann O’Connor (aka Little Annie, aka Annie Anxiety Bandez). Little Annie, a New York performance artist – formerly of Asexuals and known for collaborations with Current 93, Nurse With Wound and Kid Congo Powers – gave the band an extra dimension when adding spoken passages to their disjointed sounds. Eagerly awaited by fans, their 2019 EP ‘Tiles’ ends a three year recording silence. Its four tracks teeter between darkly gothic and just plain difficult, but it’s often it’s more than possible to understand where this avant-garde/art rock collective are headed. 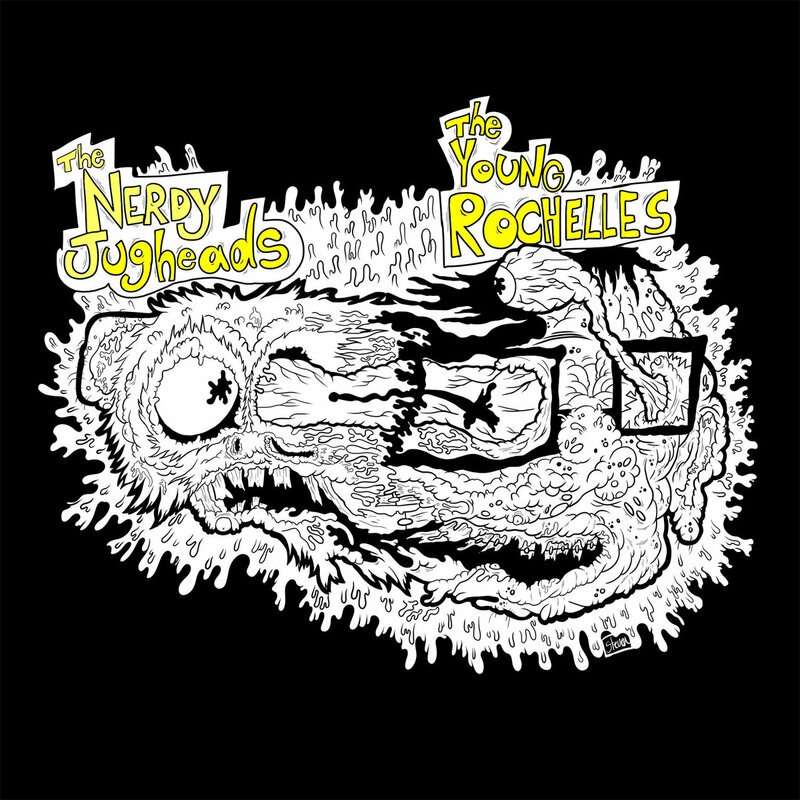 At the end of 2014, Tokyo punks The Nerdy Jugheads released their first recordings on an intense EP that took the core sounds of Screeching Weasel and transplanted them via Japan, creating music that blended fine Ramonescore with the nerdy oriental quirks of Hi-Standard. The result was an all-thrashing, all-bouncing five tracker that no pop punk fan should be without. 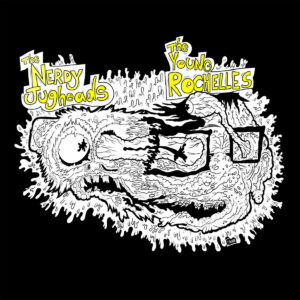 The band returned in the summer of 2016 with three new tracks, issued as one half of a great split release with New Yorkers The Young Rochelles. It’s East meets West in this spit EP face off…who will win this global punk battle of the bands? !